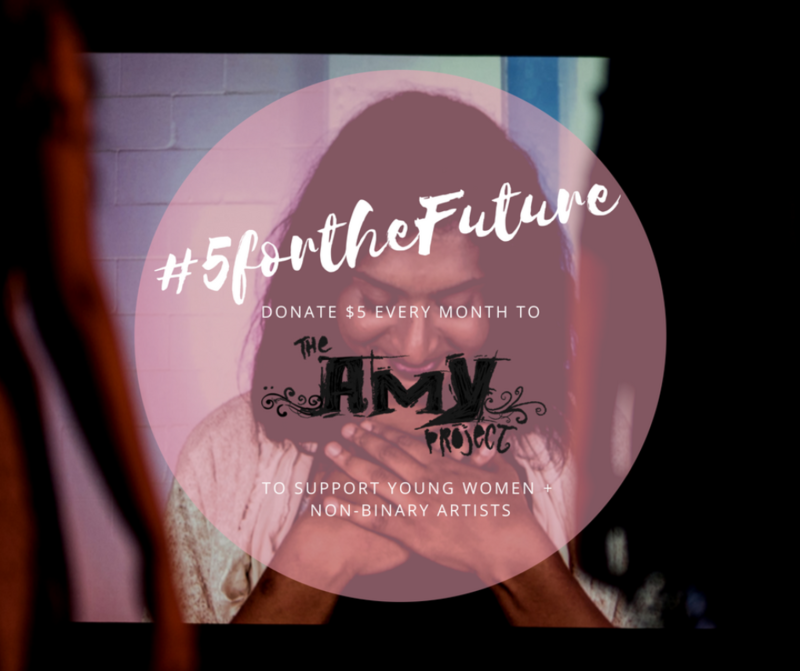 #5forthefuture is a new way to support AMY. It’s a way to build the future we want for the performing arts. It’s a way to show young artists we care. It’s a way to move our community forward. 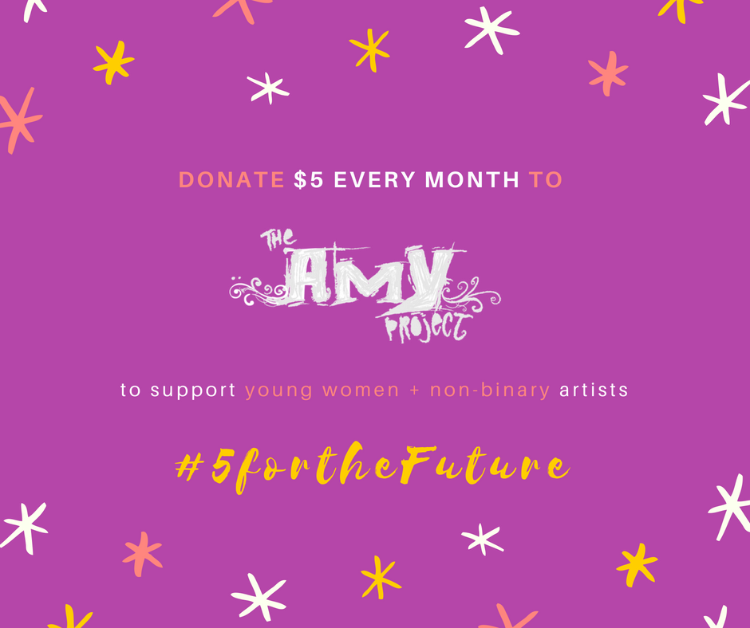 For five dollars a month, you can be a part of the future AMY is building: one that is equitable, inclusive, and vibrant. -Luke Reece, Producer, Obsidian Theatre; Artistic Director, Little Black Afro Theatre. As an artist, I’m invested in a more equitable future for our community and am committed to supporting accessible, safe, and supportive performing arts training spaces…. The work AMY does is necessary, consciously accessible, complex and joyous. The space AMY Project makes is irreplaceable and I’m honoured to be a part of the AMY community. That’s why I’m donating $5/month to The AMY Project. 1) Visit our Canada Helps page and sign up to donate $5 or more per month using the #5forthefuture campaign! 2) Share your story about why you’re donating to AMY using#5forthefuture and tagging us on Facebook, Twitter andInstagram! 3) Share and like our posts to help spread the word! We’re thrilled by our community’s commitment to helping build an equitable and thriving artistic future for everyone. We can’t wait for you to be a part of it!